The latest consumer satisfaction survey by Canstar Blue, looking at Kiwis’ insect spray habits has revealed that 37% of Kiwis are not afraid of any creepy-crawlies – although it does vary by generation. According to our survey of almost 1,500 Kiwis, younger New Zealanders are more afraid of insects than their parents or grandparents; 58% of respondents under 30 years of age admitted to being afraid of spiders, compared to only 35% of those aged 50 to 59. And while 58% of those aged between 60 and 69 are not scared of any insects, only 22% of those aged under thirty were similarly blasé. Overall women (52%) are significantly more frightened of bugs than men (22%). A spider fear is not entirely unfounded as close to a quarter (24%) of Kiwis have been bitten by one – but despite having a good reason to hate bugs, one fifth of New Zealanders have a conscience. They feel guilty when they see insects dead/suffering after they have sprayed them. Women (26%) feel particularly remorseful after spraying a bug compared to men (14%). While they don’t have the fear factor, mosquitos could possibly take the top spot as the most irritating, 28% of respondents claim that they are always being bitten by mosquitos. Aucklanders are least likely (equal with Waikato) to have been bitten by a spider (22%), most likely to be constantly bitten by mosquitos (35%), most likely to feel guilty when they see insects dead/suffering after they have sprayed (22%), most likely (equal with Otago) to hate the smell of insecticides in their home (70%) and most likely to use an insecticide pre-emptively in their home (44%). Those in the Waikato are least likely (equal with Auckland) to have been bitten by a spider (22%), least likely to find that insecticides generally work well (80%), least likely (equal with Canterbury) to feel guilty when they see insects dead/suffering after they have sprayed (15%) and least likely (equal with Wellington and Bay of Plenty) to have bought an insecticide based in advertising campaign before (30%). Wellingtonians are the most likely to find that insecticides generally work well (85%), most likely (equal with Auckland) to feel guilty when they see insects dead/suffering after they spray (22%), and least likely (equal with Waikato and Bay of Plenty) to have bought an insecticide based on an advertising campaign (30%). Cantabrians are least likely (equal with Waikato) to feel guilty when they see insects dead/suffering after they spray them (15%) and least likely to use insecticides pre-emptively in their homes (29%). Those in Otago are most likely to have been bitten by a spider (32%), least likely to be constantly bitten by mosquitos (17%), most likely (equal with Auckland) to hate the smell of insecticides in their homes (70%) and most likely to have bought an insecticide based on an advertising campaign before (40%). Those in the Bay of Plenty are least likely to hate the smell of insecticide in their homes (63%) and least likely (equal with Waikato and Wellington) to have bought an insecticide based on advertising campaigns before (30%). Although insects are important for a functioning eco-system, most of us do not welcome them in our homes – and for good reason. Some insects can damage property, while others can carry disease. 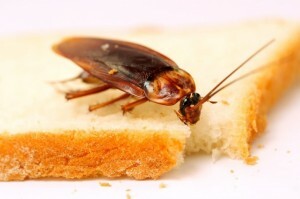 Cockroaches could be scurrying around your pantry or cupboard. Even if you’re not afraid of bugs, you probably don’t want them in your home unabated, says George. Fortunately, 84% of New Zealanders agree that insecticides generally work well. Around one in three households even take the extra step of protecting their property by using insect sprays pre-emptively to stop pests before they become a problem. Understandably, 68% of New Zealanders don’t like the smell of insecticides. So what’s the best alternative? 40% of people say the next best way to deal with a pest is a good old fashioned newspaper or magazine, followed by a fly swat (33%), then a shoe (25%). For 2015, Mortein has received the Canstar Blue Most Satisfied Customers Award for insect spray. Mortein is a popular brand that is well known in Kiwi households, made easily recognizable by Louie the Fly and its catchy slogan. Most Kiwis want an insecticide that lives up to expectations and successfully fulfills its promise. Effectiveness was the number one driver of satisfaction for the bug spray category (54%) followed by value for money (23%). Mortein received five star ratings in both of these categories. You can see the survey results here.